The incessant supply of electricity from the power grid to a household or business facility is almost impossible. There could be a natural disaster, damaged supply lines, and plenty of other technical issues to cause a power outage. This is where a generator comes into play. The functions of generators are to supply electrical power in the absence of a regular power source and prevent the discontinuity of daily activities. It’s a device that receives mechanical energy from an external source and converts it to electrical energy. It’s important to know that a generator does not create electrical power. It simply forces the motion of the existing electrical charges in the wire of its windings by using the external mechanical power. The charges pass through an external electrical circuit before being transformed to electricity. You can compare the mechanism with a water pump that does not ‘create’ the water but only let it pass through. Earlier generators used to work on Michael Faraday’s principle of electromagnetic induction. He discovered that the movement of an electrical conductor in a magnetic field can generate the flow of electrical charges. It creates a voltage difference between the conductor’s two opposite ends, causing the circulation of charges and the production of electrical current. Some of the sources of mechanical energy are turbines running on gas, water, and steam. Internal combustion engines and hand cranks are two other sources. The first type was the result of the Industrial Revolution. A number of people contributed to its invention and advancement during that period for useful industrial applications. The dynamos do the conversion by using rotating wire coils and magnetic fields. They convert mechanical power to direct current. They are used only in a few low-power applications these days. Today, the alternators are the more popular option for power generation. Their mechanism involves the rotation of a rotating magnet inside a set of conductor coils. It spins a magnetic field, created by either a field coil electromagnet or permanent magnets, which generates an AC voltage. The alternators transform mechanical power into alternating current. Power cut and load shedding are very common in rural areas during peak hours and severe weather conditions. A generator, being a source of independent electrical power, can keep the electrical systems alive in times of need. It will help you get back up to continue your work without any hitch. A standby generator remains idle during normal electricity supply. It is ever-ready for providing power in times of emergency. Think of a business or a hospital where one second of power outage could be disastrous. This device will keep everything up and running, and prevent data loss in the event of unpredicted power failures. 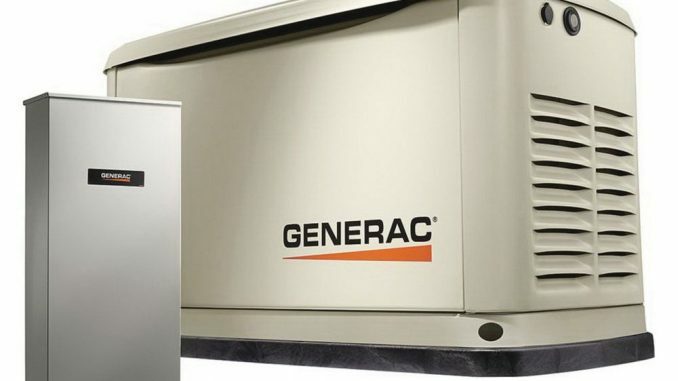 Most standby power systems include a standby generator, batteries, and other gear. It’s not possible to have dedicated power connections in some places. Think about construction sites that don’t have an electricity system. Or, organizing an event in a remote area where there’s no power grid. Electric generators are the only viable power source on such situations. The devices are able to power up any electrical equipment including tools, large lighting rigs and sound systems. Small generators are perfect for outdoor camping and trips. They can run small and medium appliances. Some facilities have to rely on generators for permanent power supply because of the unavailability of power grids in that area. For example, agricultural farms often need continuous electricity stream for performing various tasks – from cultivating to harvesting and preserving crops. The functions of generators also involve producing electricity within a specific period to support a power grid. For example, the electricity demand is the highest during peak hours. It may cause stability problems sometimes, and STOR (Short Term Operating Reserve) generators help the grids meet the demand for power rising above the predicted level. These are synchronized into the main system to deliver emergency electricity when required. Their function is different from the large-scale renewable generation that supplies inconsistent power to the grids. Many people confuse these two devices as one, but their functions are completely opposite. The generator turns mechanical force into electricity, but a motor uses electrical power to create mechanical energy. The electricity spins rotors inside it to turn a shaft. The consequence of these actions is mechanical power. The modern motors use permanent magnets that you can find in the form of coil windings between the rotors. Like the generators, these run on either DC or AC. They are available in various sizes to be used in different applications – from small watches to giant industrial machinery. As you already know the functions of generators, you might have figured out that their power is measured by wattage. The bigger the number, the more appliances they can power up at once. A 5000-watt model is adequate for covering a regular household. Nonetheless, it always depends on your requirements, the size of the place, and the number of tools you want to run.